Michelle Ragussis has a lot of energy — for Maine, for her Italian and Greek heritage, and for her No. 1 passion: cooking. This summer, she’s making her signature Mediterranean-inspired New England cuisine at The Pearl Restaurant, right on the waterfront in Rockland. 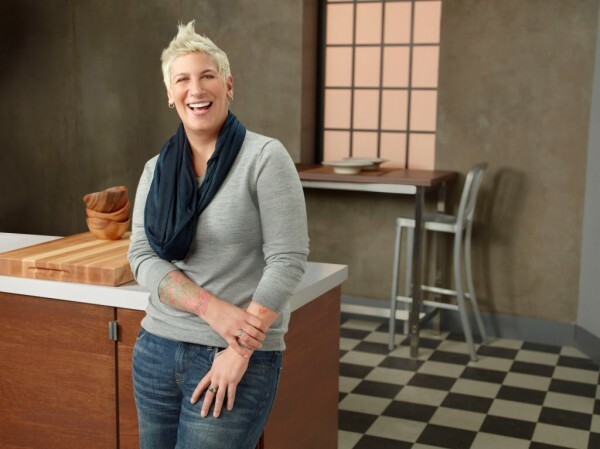 She’s also — along with TV viewers across the country — watching herself compete on “Food Network Star,” airing at 9 p.m. on Sundays, as one of 15 contestants vying for their own original Food Network series. Week six just aired, and Ragussis is still in competition — though at the end of the show, viewer votes are what will take her to the next level. Ragussis, 42, grew up in Bristol, R.I., among a strong Portuguese community, which greatly informed her cooking — she’s a big fan of mixing meat ingredients with seafood, and is particularly fond of ingredients such as chorizo sausage, kale and shellfish. She has cooked in Rhode Island, New York and Florida, which is where she met Jimmy Fanning, who owned several restaurants down south before moving to Maine and opening The Pearl. Ragussis made her Food Network debut a few years ago, with appearances on “Chopped” and “24 Hour Restaurant Battle.” For “Food Network Star,” she has been placed on Bobby Flay’s team of contestants, and she has made everything from Steamed Mussels with Chorizo for a challenge to create a restaurant menu in one day, to Spaghetti Squash with Turkey Meatballs for a challenge to cook for kids. On the season finale, the top three finalists will compete for votes from viewers to see who will be named the next Food Network Star. Heat olive oil in a pan, and saute the garlic, shallots, chorizo, onion and kale until softened. Add the littlenecks into the pan and season with salt and pepper, then add one cup of white wine. Cover pan and let clams steam until they have opened. When clams have opened add two tablespoons butter, allow to melt and then serve in a shallow bowl with crusty bread for dipping.